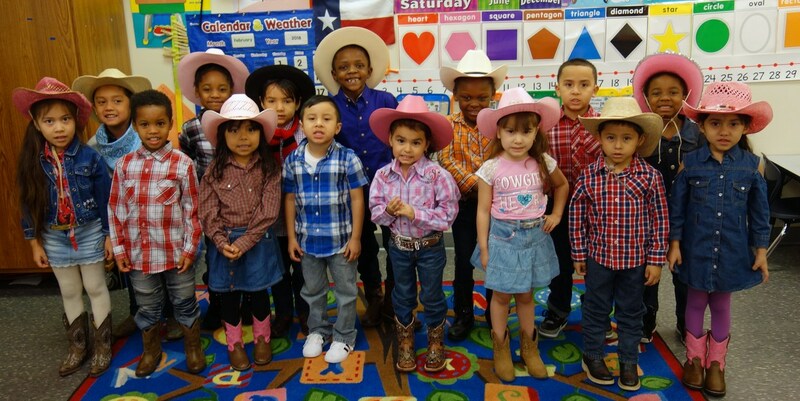 As RodeoHouston kicked off with Go Texan Day, staff and students at The Varnett Public School showed off their Lone Star pride today by wearing their western gear: boots, bolo ties, belt buckles and 10-gallon hats. 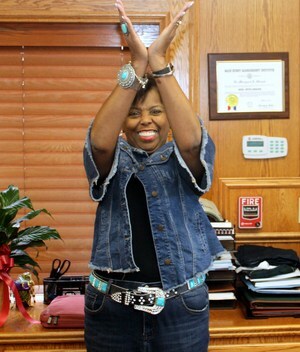 Even Varnett superintendent, Dr. Margaret Stroud, got into the act. Go Texan Day was started by the Houston Livestock Show and Rodeo many, many years ago to welcome the trail riders into the Bayou City. It is celebrated each year the Friday before the rodeo parade. The Varnett School Southeast, grades K through 7, Friday, March 9, 2018. 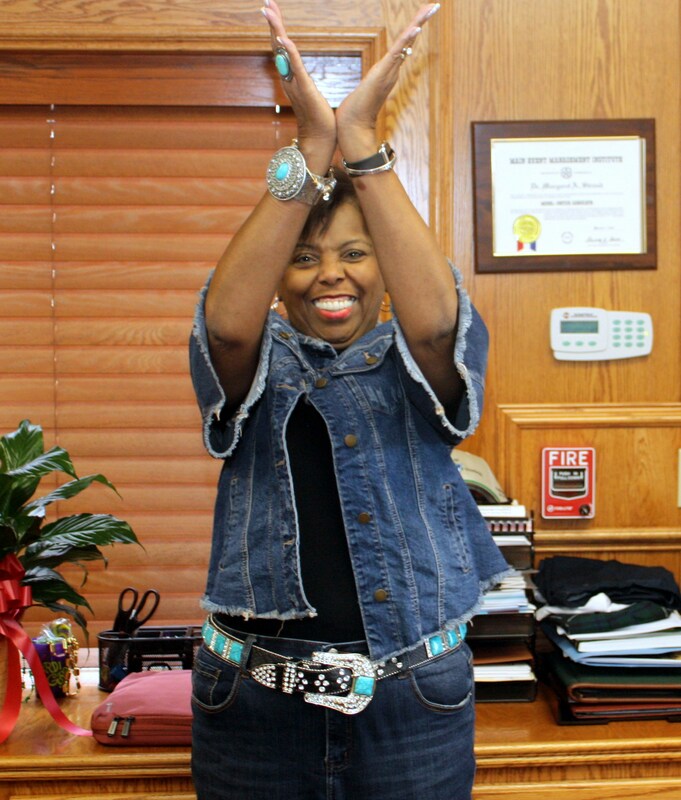 Bottom photo: Dr. Margaret Stroud, the superintendent, does a V for Varnett on Go Texan Day. "Like" us on Facebook and follow us on Twitter! The mission of the Varnett Public School is to provide a rigorous academic program which meets the needs of our diverse population.